Toronto is a great city to give into your taco and all things Mexican cravings. One of the most popular Mexican restaurants in the city is La Carnita. Reservations are only accepted for groups of eight or more, so for parties less than eight, prepare for a usually lengthy wait. After finally being seated, I took a look at the menu. It was actually a smaller menu than I had imagined, but after eating, I realized it was all I needed. To get started, I ordered a cocktail by the name of “So Fresh and So Clean”. It was a combination of gin, jalapeño syrup, pineapple, cucumber, mint, and lime juice. The name says it all, as it was fresh and had the perfect amount of sweetness. I was with a large group so we ordered quite a lot of food. It is barely a Mexican experience without guacamole, so we tried all three dips including guacamole, corn salsa, and serrano & cashew bean dip. 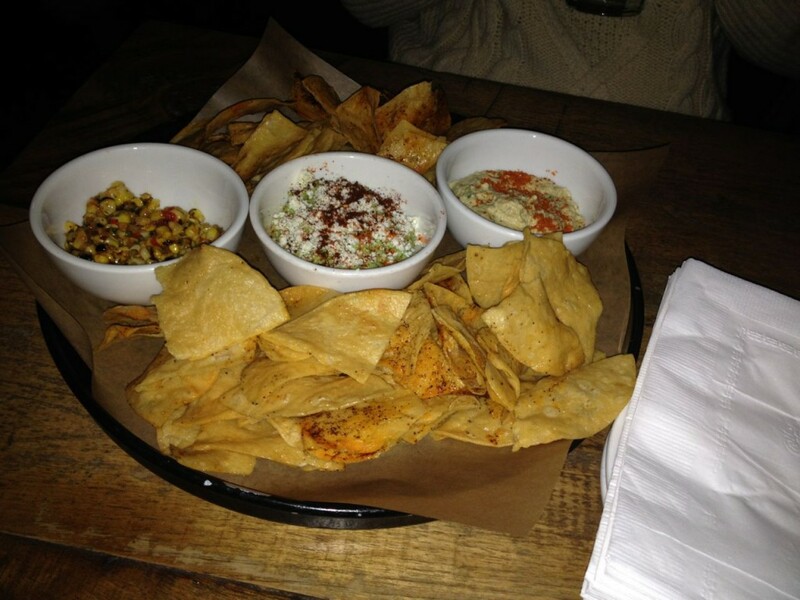 The tortilla chips were crispy and perfectly salted and the dips were bursting with flavour. Another appetizer was the Mexican Street Corn which came with 2 cobs smothered in Mexican crema (basically sour cream), queso anejo (Mexican cheese similar to parmesan), and dusted with arbol and ancho chili powder. The sweet corn paired well with the tangy sauce and chili powder, and made for a wonderful, yet filling appetizer. As if we hadn’t had enough corn, my group decided to try the Rice & Corn Frituras which are fried balls combining brown rice, sweet corn, queso cotija (another Mexican cheese similar to parmesan) and topped with habanero sauce and creme micro slaw. The brown rice added a great texture and more nutty flavour, which complemented the sweet corn and fried batter. Beware though, the habanero sauce is quite spicy! 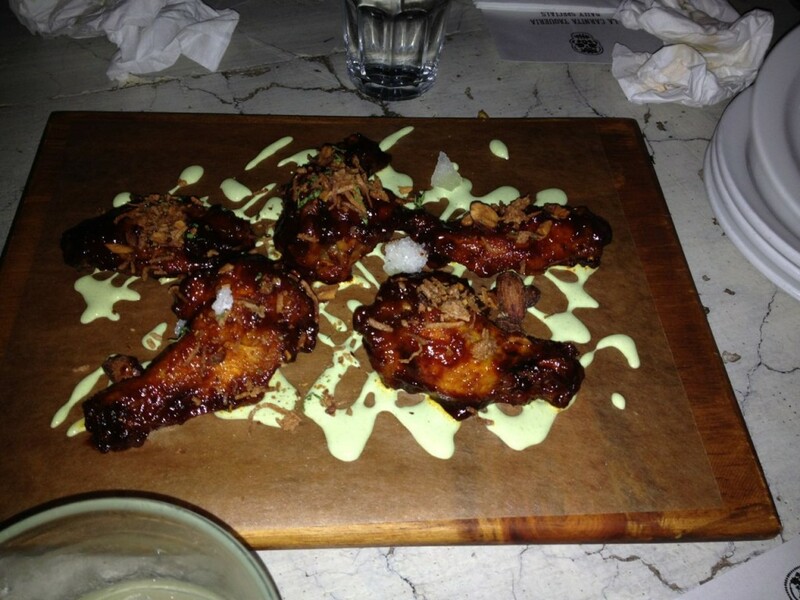 This evening La Carnita was featuring chicken wings which were sweet, crispy, and extremely spicy!!!! As it became time for tacos I was already on the verge of being stuffed, but I made some room. 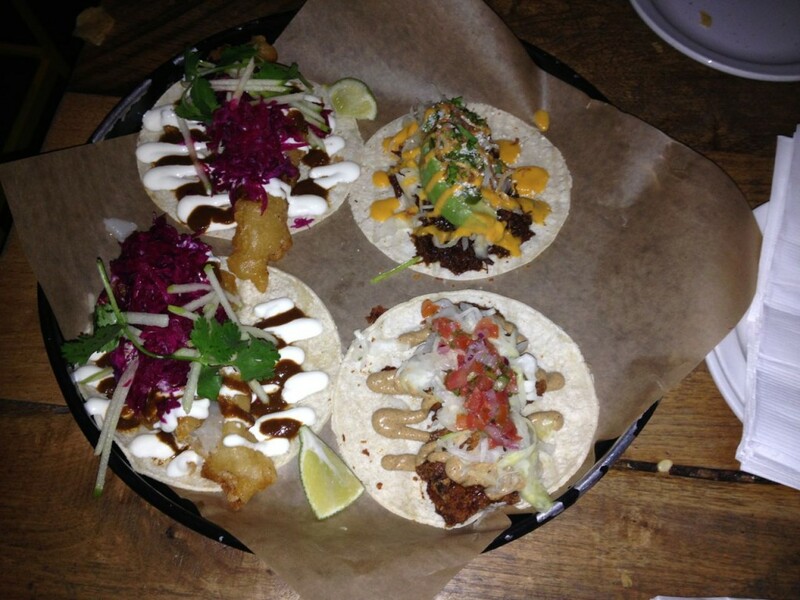 I tried three different tacos, “In Cod We Trust”, “Pollo Fritto”, and “Beef Cheek”. The cod taco was your typical fish taco, consisting of deep fried cod drizzled with voltron sauce (their secret soy sauce based sauce), lime crema, pickled red cabbage, green apple, and cilantro. The crunchy red cabbage and sweetness from the green apple added an interesting sweet tang to the taco which was a pleasant surprise. The “Pollo Fritto” was my favourite, which I actually least expected. The corn tortilla is stuffed with multiple pieces of fried chicken, topped with a peanut mole sauce, pickled green cabbage, and salsa fresca. I am a huge fan of peanut anything, so naturally I looooved the peanut mole sauce, and the chicken was perfectly crispy and tender. The beef cheek taco was also quite a hit, topped with green cabbage, pickled jalapeño, crispy shallots, and a piece of avocado. 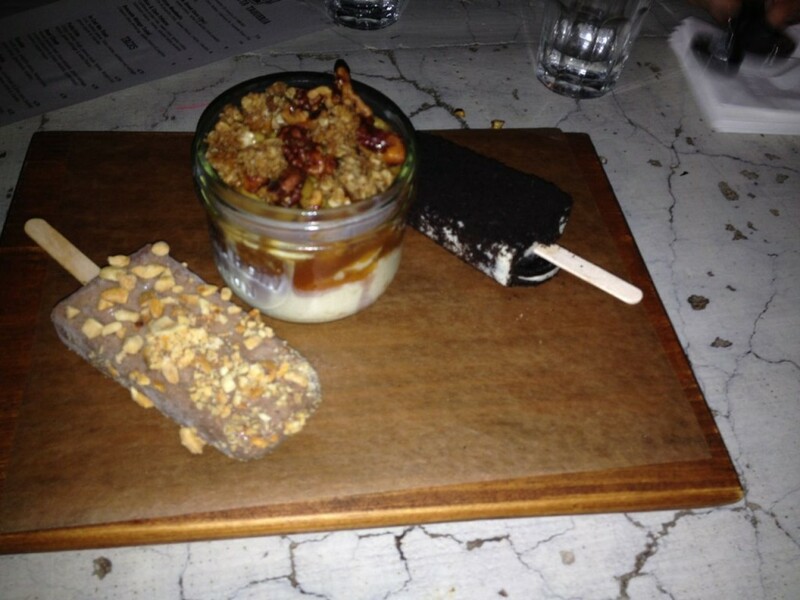 Although I was quite full, the dessert menu was too tempting. We ordered two paletas (Mexican ice cream popsicles), as well as the seasonal tres leche cake. The flavours of paletas that we chose were peanut butter chocolate, which was delicious other than the overly saltiness, and the cookies and cream which was quite a delight!! The tres leche cake was served with apples, walnuts and cinnamon, which was literally to die for. It was creamy and cinnamony and appley and was the perfect dessert!!! 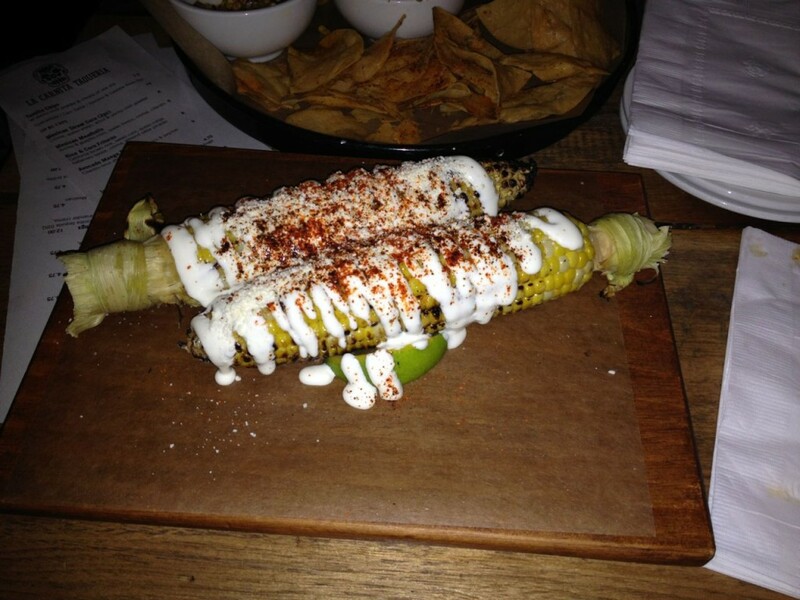 If you are looking for a true Mexican experience, check out La Carnita. Do beware that many dishes are quite spicy, so look out, and ask for less spice when possible.